From the snowy peaks of Colorado to the scorching canyons of Arizona, David Parkinson can’t get enough of the great outdoors. But the UO’s newest Tillman Scholar knows those experiences come with great risks. That’s why this Air Force veteran, the recipient of one of the most prestigious awards for former service personnel, has landed at the UO. His desire to help people confront risks and stay safe outdoors drew him to the university’s Portland campus and its master’s program in sports product management. Extreme weather, hazardous terrain and debilitating injuries are just a few of the problems people can encounter on a play date with Mother Nature. Parkinson enrolled in the UO program to learn how to develop reliable gear that will help outdoor enthusiasts enjoy their quests and get home safe. “The wilderness has brought me so much happiness and joy. I want to help other people experience all that it has to offer,” said Parkinson, who first traveled the outdoors as a child during family camping excursions to Utah’s mountains and who continues to head outside with his skis, mountain bike or backpack every chance he gets. “The education I receive at the UO will help me make the outdoors more accessible and safer for the community,” he said. 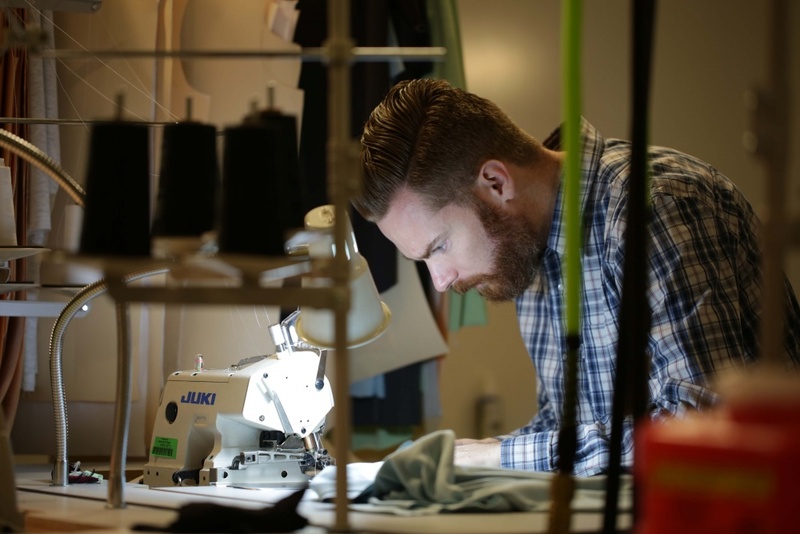 He was attracted to the master’s program at the UO because it provides an experiential education in designing, developing and managing cutting-edge sports apparel, footwear and equipment. The 18-month program at the UO offers graduate students real-world experience and a hands-on education from industry leaders in everything from product design to human physiology to industrial ecology and sustainability. Parkinson was able to pursue this educational opportunity because he was named a 2016 Tillman Scholar in recognition of his extraordinary academic and leadership potential and his commitment to create positive change in his community. The Air Force veteran was one of 60 service members, veterans and military spouses selected from thousands of applicants nationwide. The Pat Tillman Foundation was created to honor the legacy of Pat Tillman, who was killed in the line of duty after putting his promising NFL career on hold to serve with the U.S. Army in Iraq and Afghanistan. “The more I learn about Pat Tillman, the more he inspires me to do more and to do something that’s for more than yourself,” Parkinson said, explaining that he would not have been able to continue his education, while also providing for his five children, without the support of this scholarship. A military leadership exercise helped Parkinson realize how much he wanted to help others through his career. While working on a vision statement for the Air Force, he was prompted to ask himself what lasting effect he wanted to have on the world and what values he considered most important. “I realized I was passionate about two things: the outdoors and helping others,” he said. That realization led him to volunteer with a search and rescue team in Arizona, where he embarked on frequent missions to help people who were injured or lost in the wilderness. During his three years with the rescue group, he saw too many people land in critical danger due to bad equipment and a poor understanding about the circumstances they’d face when they headed out. Parkinson’s many years of wilderness experience, starting with the Boy Scouts, have taught him that reliable gear and information can make a big difference with someone’s ability to stay safe. When he heard about the UO’s sports product management program, he knew it was the opportunity he needed to transition his passions into his vocation. Now that he’s several weeks into the program at the UO, he’s feeling extremely grateful that he found a way to let his passions and work collide. “It’s a lot of work,” he admitted, as he listed all seven of his current courses. “But when you find something you enjoy doing, work doesn’t feel like work. The experience and training he received through nine years in the Air Force and deployments to Afghanistan, Iraq and Libya should help him tackle whatever workload he encounters at UO. He credits his strong work ethic and tenacity, as well as his deep commitment to service, to the skills and values he developed during his military career. That deep commitment to service will also allow him grab a breath of fresh air while balancing his intense schedule at school with five children under age 10 at home. Parkinson will volunteer with the Mount Hood Ski Patrol this winter as he pursues yet another opportunity to combine his passion for the outdoors with his desire to help others.